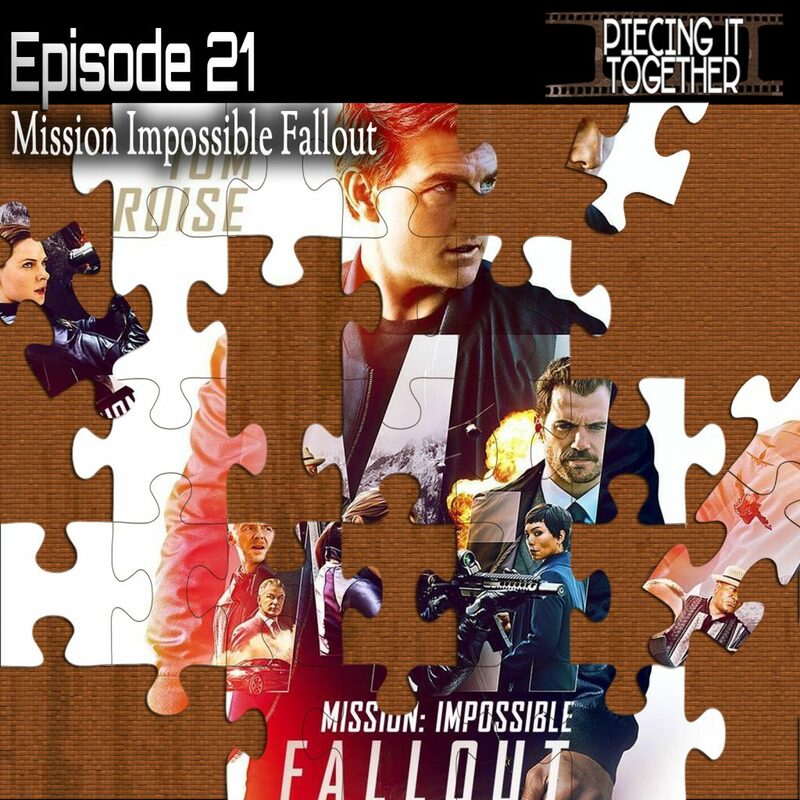 On the 21st episode of Piecing It Together, first time co-host Brian Garth and I talk about the 6th entry in the long running and apparently never slowing down action spy series Mission Impossible Fallout. Tom Cruise, now 56, still feels the need to do all kinds of insane, death defying stunts while saving the world, and for the first time in the series, a writer/director returns for a second installment. Christopher McQuarrie who wrote and directed the previous installment is back to finish the story he started in Rogue Nation… As well as get Tom Cruise to do a bunch of crazy stuff. Puzzle pieces include the previous Mission Impossible films, Uncharted, The Dark Knight and The Fast & The Furious series. As always, SPOILER ALERT for Mission Impossible Fallout (and any other movies we discussed)! Brian Garth is a music producer and has a band, Black Camaro. The song at the end of the episode is “The New World” from my album Further Into The Dark.